Fallout Pop Vinyl Figures | Nerd Much? Our readers are quickly learning that we’re not shy about our love for Funko POP! and their great vinyl figures. Soon, you’ll also learn how much we love Fallout, especially with the upcoming release of Fallout 4. So, when the two come together, it’s a magical experience. Introducing the Fallout Pop Vinyl Figures, a new line of figures based on the Fallout franchise. 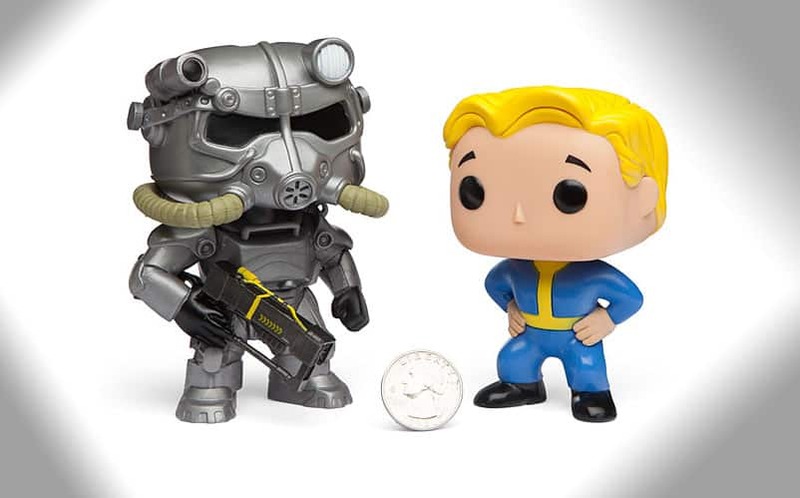 There are seven figures available, including Brotherhood of Steel, Lone Wanderer, Super Mutant, Vault Boy, Feral Ghoul, Lone Wanderer (male), and Deathclaw. They stand at 3 3/4″ tall as usual, and are officially licensed. And since you can’t find that damn Pip Boy Edition anywhere, we suppose these are second best. We actually included the Fallout vinyl in our list of the 30 best nerd gifts.